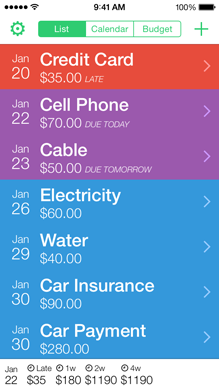 A simple app to help you keep track of your bills so you can pay them on time. View a list or calendar of your upcoming bills, late bills and paid bills. Be reminded before your bills are due. 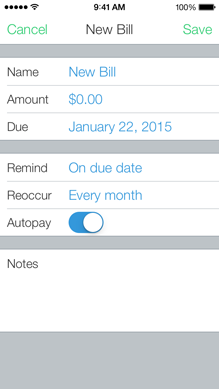 Have your bills reoccur automatically, so you're always up to date on what's due. 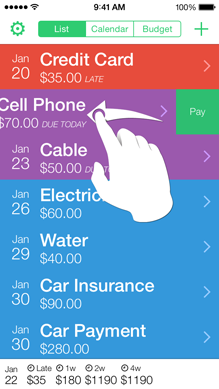 Have bills that are setup for autopay? Jitto can remember this. 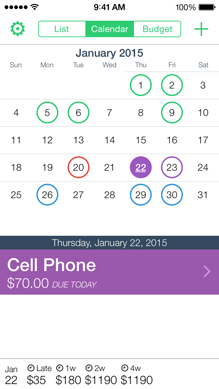 Quickly see the cost of upcoming bills, so you know how much is due in the upcoming weeks. 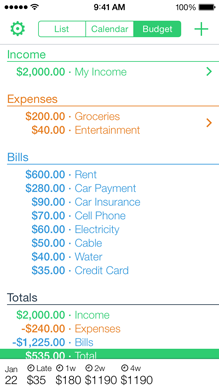 Add income and expenses to make managing a simple budget easy.